P&O Cruises has this week unveiled plans for its annual ‘Salute to Sydney’ – a historic event in which the P&O Cruises Australia fleet sail up the harbour in homage to the city. Taking place on the 25th November 2015, this year’s event is thought to be the cruise line’s most ambitious yet, with a total of five ships, twenty-five music acts and 10 DJs already confirmed for what’s being dubbed the ‘Sydney Spectacular’. Announcing details of this year’s ‘Salute’ at a recent press conference, Sture Myrmell, P&O’s senior vice president, said the event would celebrate the arrival of P&O’s newest ships as they make their maiden sailings in Australian waters. 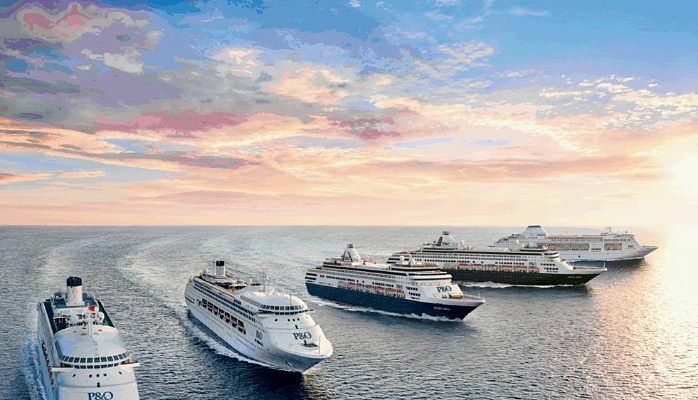 These ships – combined with P&O’s existing Australian fleet – will become the first five cruise ships to visit Sydney Harbour on a single day. Despite being months away, the itinerary for the event has already been carefully arranged and scheduled, with famous musical acts – The Veronicas, Jessica Mauboy, Samantha Jade and Stan Walker to name but a few – the V-shaped ‘Sydney Salute’ and a dramatic firework finale already booked and scheduled for the day. P&O’s latest ships, Pacific Aria and Pacific Eden, will be officially named during the event. After the naming ceremony, the two ships will port at Neutral Bay and the Overseas Passenger Terminal respectively. Passengers aboard the five P&O vessels will be granted to best seats in the house during the event, though spectators stationed along Sydney’s waterfront will perhaps have the best view as the cruise liners file past. Image soucred via P&O Cruises Press Office. Credit: P&O Cruises.